Dr. Varughese, M.D., M.B.A. is a board-certified dermatologist and a fellowship trained Mohs and dermatologic surgeon. He is a fellow of the American Academy of Dermatology and a fellow of American College of Mohs Surgeons, which is restricted to fellowship-trained Mohs surgeons. Dr. Varughese was born in Staten Island, NY and grew up in New Jersey. He graduated with Alpha Omega Alpha Honors from the combined MD-MBA program at Union College and Albany Medical College. 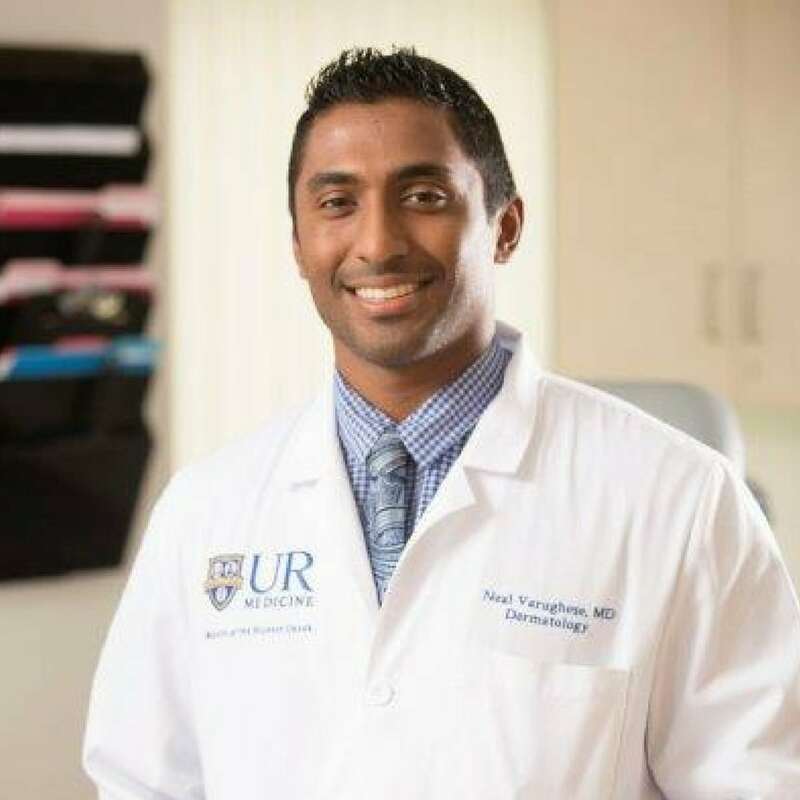 He completed his Internal Medicine internship at Yale-New Haven Hospital and undertook his Dermatology residency at the University of Rochester. After residency, Dr. Varughese moved back to New Jersey to complete his Mohs Surgery and Cosmetic Dermatology fellowship with acclaimed surgeon and laser expert Dr. David Goldberg. Dr. Varughese has performed thousands of Mohs and skin surgery cases. Dr. Varughese is delighted to serve patients at Abington Dermatology.